Home Stroke thrombolysis – why are we still arguing? 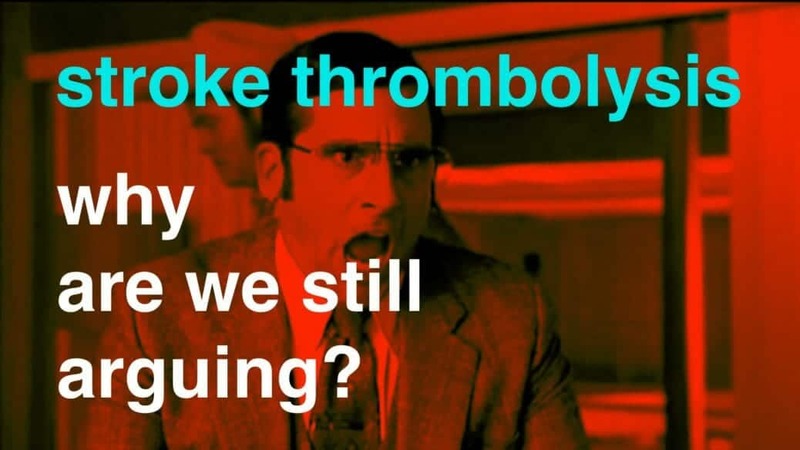 The debate regarding the efficacy of thrombolysis grumbles on… How is it that two different groups (i.e. mostly ED doctors and neurologists) can look at the same set of trials and come to fundamentally different conclusions? To examine this, these authors have attempted to perform an unbiased meta-analysis and systematic appraisal of the evidence supporting the use of thrombolysis in ischaemic stroke (paper available here). Consistent with other meta-analyses, the authors found a moderately increased probability of good functional outcome (OR 1.14) alongside a markedly increased risk of ICH (OR 4.28). However, as discussed, this debate is likely to be driven by the quality of the trials that populate this meta-analysis. For instance, of the 16 studies that nominated a specific primary outcome, only 2 studies reported a significant treatment effect in favour of thrombolysis as their primary outcome- the NINDS trial and ECASS III. Both of these studies have reported concerns baseline imbalance. Buried in the Supplementary Appendix is also the ‘influence analysis’ which shows the significant influence of the NINDS and IST-3 trial, both of which have significant methodological limitations. Transparently analysing this controversial data was not without challenge – most trialists and drug companies were reluctant to share trial data without contracts and editorial influence (notwithstanding stated commitments to data-sharing). Once completed, most journals with broad readership rejected the paper on the basis that there was no ongoing debate; their view was that that the evidence was sound and that replication studies were not warranted.